Below is a listing of all availiable TAP System Modules and parts. For an overview of the TAP system choices please click HERE to jump to the TAP System Overview page. Although they are intended for OEM and DIY use these modules are not 'kits' or 'bags full of parts'. The all come completely assembled and fully tested as a system prior to shipment. Great care and attention has gone into choosing the highest quality parts and signal path length. Other than the choice between Slagleformers (best) and Hybrid Resistor Modules (next best) as an attenuator there are no sonic tradeoffs from one choice of module to another. The needs of the application and enclosure design will determine the best modules to choose. 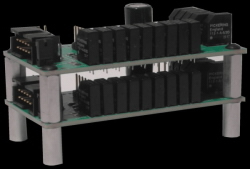 Every TAP system has a front panel PCB, an Attenuator PCB, and optionally a source select PCB. Beyond those there are a few options of power supply boards to get the regulated power on to the ribbon cables, etc. 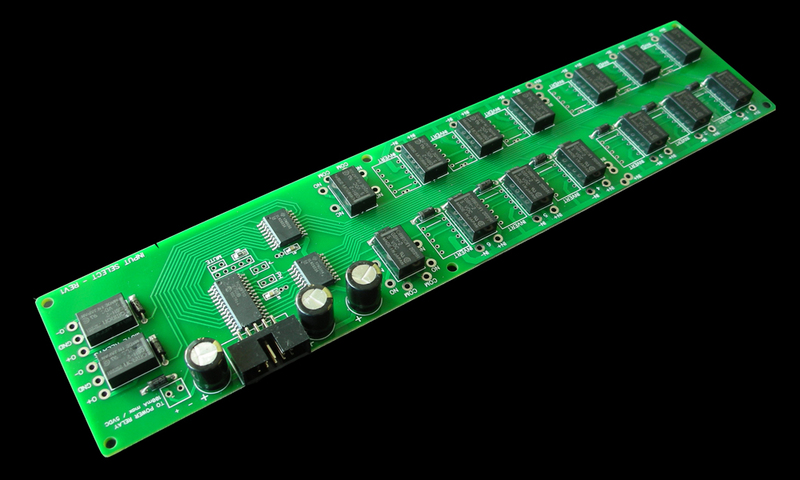 These boards simply plug together on a supplied ribbon cable (the 'Bent Bus'). Each of these board options are described below. The Front panel of the TAP system is the user interface. It is this panel that receives remote (or push button) commands and sends these commands on to the attenuator and source select pcb(s). 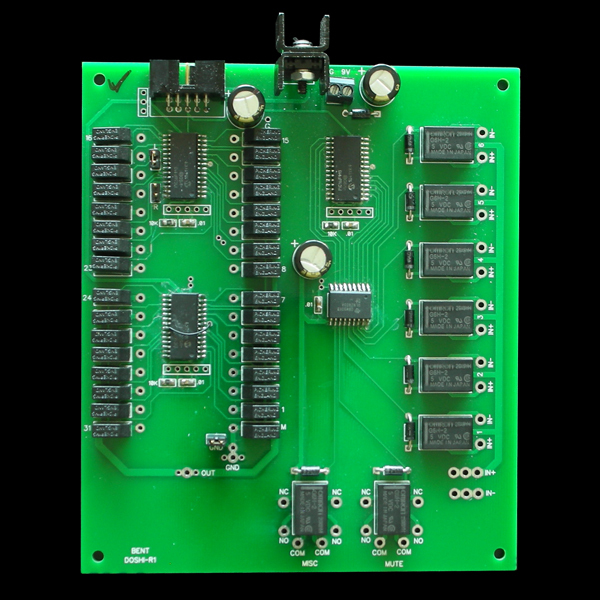 This PCB has dual volume displays and individual leds for source select indication. A high quality optical encoder is used for level control. Push button control of display on/off, tape, mute, source up, and source down are also included. It's the board that mates to the AVC-1 Slagleformer Enclosure and is also a good choice for a custom made OEM Chassis. This small 1-3/4"W x 1-1/4"H PCB controls all TAP functions via remote and has small buttons for volume up/down on the front of the PCB. This is the PCB used inside the PRM-1 Module below. A small included cable plugs into the mating Hardwired Power PCB. 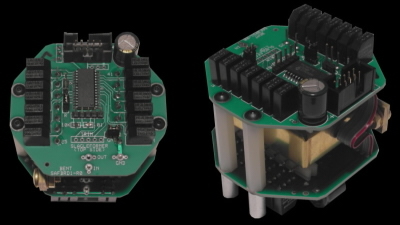 This PCB may be ordered with or without the PRM-1enclosure. The above photo shows the PRM-1 PCB packaged in a machined aluminium enclosure. This enclosure can be mounted in place of any existing volume pot / knob in the same 0.375" mounting hole. Available in both black and silver. The Attenuator is the volume control for the system. All Attenuator modules feature extremely high quality parts and super short and clean signal paths. This is our premium attenuator option. At the heart of the module is the amazing top of the range autoformer made by Dave Slagle of www.intactaudio.com. 100% passive and sonically transparent - the entire signal path includes only pure magnet wire and high quality switching elements made by Pickering in England. Full remote control of volume up and down and also right/left balance and mute function. This is the same unit that was used in our TAP-X pre-amp when it was available and it has all the same features and specs. Notable is the small 1db step size - unheard of for an autoformer or transformer volume control. Also new to this type of device is the ultra clean signal path - no more TVC rats nest of wiring and an easy 3 wire audio connection. Volume range is -54db on up to +7db. Two modules are required for stereo operation or 4 modules for true balanced operation. 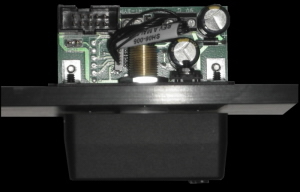 A great option for OEM/DIY active pre-amp systems. It features 1db steps from -60db up to unity gain. The circuit is a modified shunt type - with the clean signal path of a shunt type attenuator but an input impedance that stays much more constant than a traditional shunt type attenuator over the level control range. Two modules are required for stereo operation or 2 true balanced modules for fully balanced operation. If you are wanting to use the TAP System and already have a TVC on hand or if you have a favourite TVC supplier this PCB is the choice. You can hardwire up to 31 taps and it also has on board input switching for up to 6 inputs and a Mute and Misc relay. Two TVC PCBs are used for a typical stereo installation - one for the right side and one for the left. To add input selection simply plug one or more of these pcb(s) onto the TAP ribbon cable. All front panel choices will allow input selection to function. Hardwire your selection of RCA jacks to the PCB and you are ready to go. Six inputs plus Mute and a Misc function relay. Both Right and Left channels on one handy sized pcb. RCA Jacks are pre-installed and ready to attach to the AVC-1 Enclosure or to your custom machined back panel. Six inputs plus Mute and a Tape function relay. Both Right and Left channels on a single pcb. Jacks installed and ready to attach to your custom machined back panel. 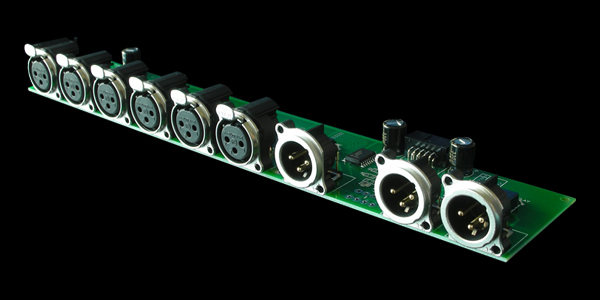 6 inputs plus a switched TAPE output and dual XLR outputs. Mute function relay at the XLR outputs. One PCB per channel is required. These small PCB's accept DC power (9 Vdc typically) and then regulate that down to the 5Vdc needed by the TAP modules. Each has a ribbon cable header to get this power onto the Bent Buss ribbon cable connecting the TAP System Modules together. 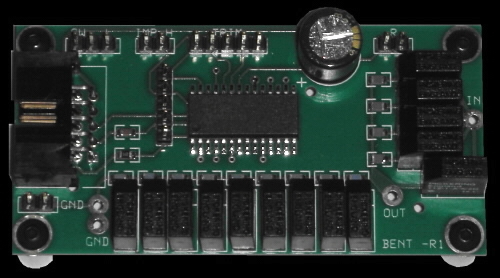 This PCB accepts power from on board terminals and has a jumper for display normal/dark mode and also terminals for an HT bypass (volume lock) button. It is used whenever the DC supply is generated inside the chassis with a user supplied internal power supply, or when the specific cutout of the Back Panel Power PCB does not suit the enclosure plans. This is the power supply option to use with the PRM-1 Module - as it has the small header that the PRM-1 cable plugs into. Shown above with and without a PRM-1 mounting plate attached and below with the PRM-1 Module. 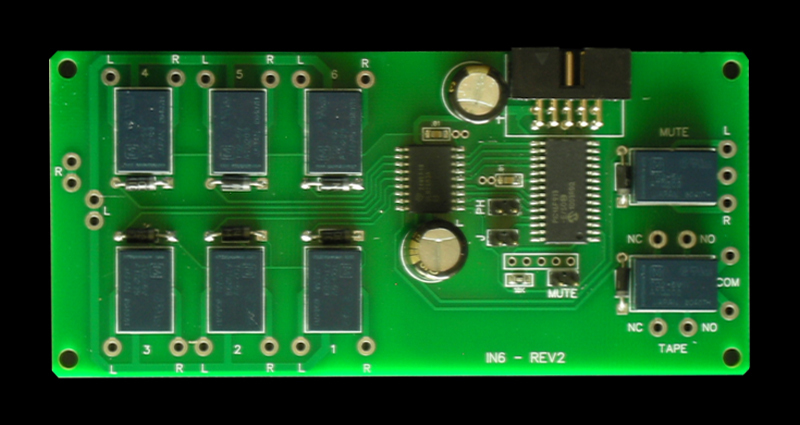 Example of PRM-1 Module with Internal Power PCB. 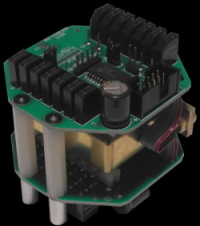 The Internal Power PCB attaches inside the front panel directly to the PRM-1 mounting shaft. As used in the AVC-1 Slagleformer Enclosure this PCB is designed to accept power from an external DC supply via a back panel input jack. A display toggle and an HT bypass push button are included. It's a bit tricky to make the required back panel cutout by hand, but for OEM use in pure passive designs it can be the best option to use. Finally you'll want a handset to enable full remote control of all the TAP System functions. Currently the choice is simple - the 13 button Bent Metal Handset is the only handset option for these systems. I had planned on finding a more reasonable option but everyone likes this handset so much that I have yet to get around to it. Each handset is assembled here in my shop using all custom parts - from the all metal extrusion to the custom machined button tops to the pcb inside. All Prices are in US funds. We accept Paypal, Wire transfer, money orders, or personal cheques (must clear before shipment). Prices do not include shipping. We ship via ExpressPost (trackable and insured). TAP Parts kit shipping to USA destinations typically costs about $30 to $50. The Components are all carefully wrapped and boxed to make sure they arrive safely. Please call for shipping rates to other destinations. Please e-mail or call with any TAP system configuration questions. I'm happy to work with customers to be certain they end up with the very best solution to fit each project.